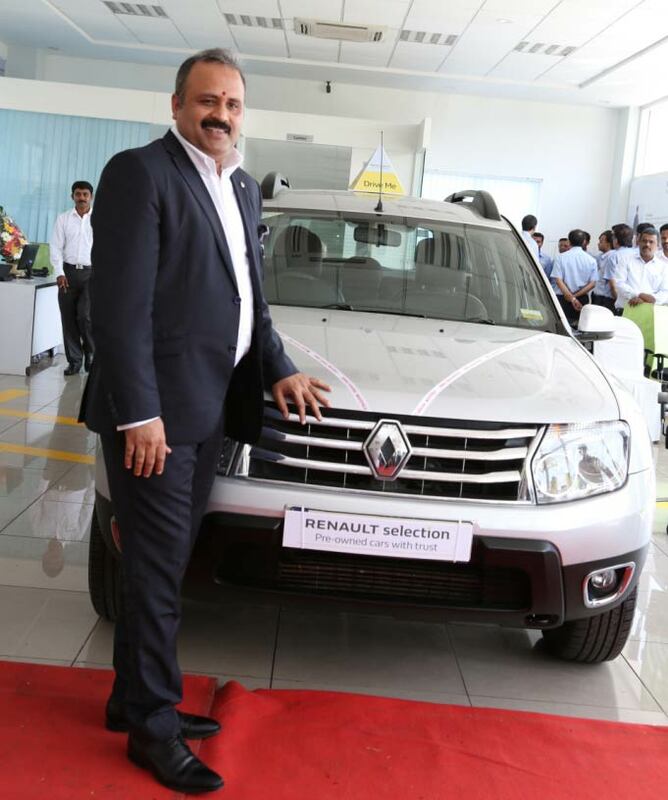 Renault India, one of the fastest growing automotive companies in India, announced the launch of RENAULT selection in Bangalore today with the inauguration of a state-of-the-art facility – RENAULT selection Whitefield. RENAULT selection is the pre-owned car brand of Renault India which provides customers a transparent and reliable platform for customers interested in buying, selling and exchanging certified pre-owned cars of all brands with optimum deals on finance, insurance, warranty and Road Side Assistance (RSA). Through this business vertical, Renault will also cater to customers wanting to sell multi-brand used cars in exchange for a brand new Renault car. 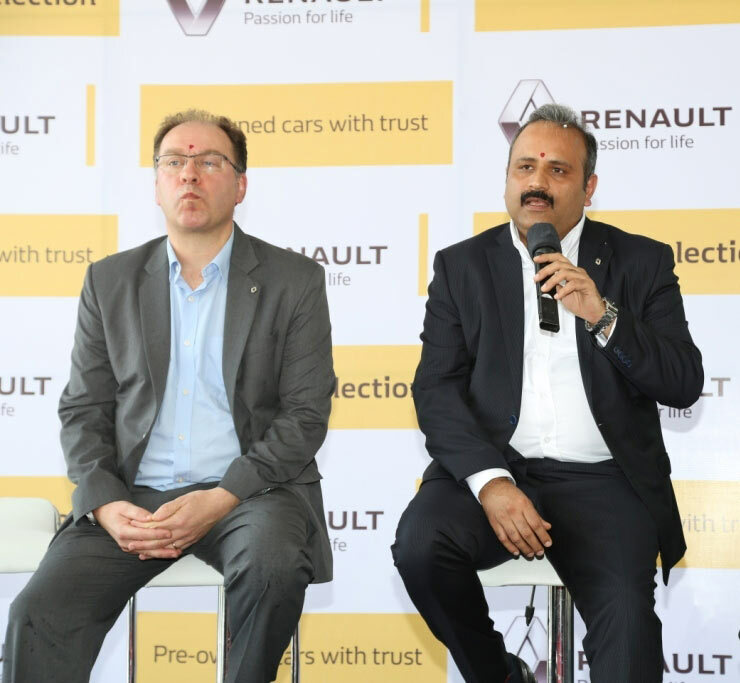 Renault made the announcement today, with its partner Trident Auto at its facility located in Whitefield. The state- of-the-art multi-brand pre-owned car outlet is spread over 21,000 square feet, which facilitates sale, purchase and exchange of both Renault and non-Renault branded vehicles. The facility can accommodate 100 cars at any point in time, giving customers complete freedom of choice. Renault is pursuing an aggressive growth strategy in India and we are entering new businesses in the automotive space, to best serve the Indian customer. The pre-owned car market in India has steadily gained momentum over the past decade, spurred by new model launches, quicker upgradation cycles by customers and rising income levels. There are several customers looking for a value purchase in the pre-owned car market, with an experience that provides complete peace of mind. There are also numerous customers who want a trustworthy platform to sell cars, or exchange it to buy a new Renault vehicle. With RENAULT selection we will address these needs, by offering customers the best quality of multi-brand pre-owned cars, as well as Renault’s segment defining products. RENAULT selection Whitefield is located at Narayanpura Village, K R Puram and it offers a world- class showroom designed to provide a superior buying experience. On display will be a wide choice of multi-brand cars and Renault’s range of certified pre-owned cars. Each certified car is put through 199 quality checks, which authenticates the vehicle condition along with accompanying documents to offer customers complete peace of mind. All the certified vehicles get covered with warranty of upto 1 Year or 20,000KM with cashless warranty claims available at over 1,000 authorised workshops in India. The warranty comes with 24X7 Road Side Assistance (RSA) for the same period. The pre-owned car market is getting increasingly organized and has immense potential. Through RENAULT selection, Renault will help most of the first-time car buyers fulfil their dream of owning a car. It will also serve existing Renault customers wanting to buy a new Renault car, to exchange/upgrade his vehicle under one-roof. RENAULT Selection will start operations in India with 4 facilities planned in Bangalore, Jaipur, Nagpur and Chandigarh. These state-of-the-art outlets shall offer a wide choice of certified multi-brand vehicles to customers, along with warranty and RSA and an unmatched customer experience. Renault will expand the foot print of RENAULT selection to all significant markets in the coming years. Together with its progressive product portfolio expansion strategy to drive volumes in India, Renault is substantially increasing its sales and network reach in India. With significant steps on product, network and the brand, Renault is truly ready for the next phase of growth in India. Renault India was aiming to achieve a market share of 5% by 2017, but basis the huge demand for its models, the company is confident to reach the target by the end of 2016- a clear testimony of its rapidly growing success in India.